The present study examines changes in the low-level summer monsoon circulation over the Arabian Sea and their impact on the ocean dynamics using reanalysis data. The study confirms intensification and northward migration of low-level jet during 1979 to 2015. Further during the study period, an increase in the Arabian Sea upper ocean heat content is found in spite of a decreasing trend in the net surface heat flux, indicating the possible role of ocean dynamics in the upper ocean warming. Increase in the anti-cyclonic wind stress curl associated with the change in the monsoon circulation induces downwelling over the central Arabian Sea, favoring upper ocean warming. The decreasing trend of southward Ekman transport, a mechanism transporting heat from the land-locked north Indian Ocean to southern latitudes, also supports increasing trend of the upper ocean heat content. To reinstate and quantify the role of changing monsoon circulation in increasing the heat content over the Arabian Sea, sensitivity experiment is carried out using ocean general circulation model. In this experiment, the model is forced by inter-annual momentum forcing while rest of the forcing is climatological. 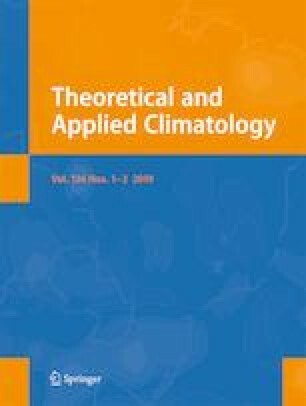 Experiment reveals that the changing monsoon circulation increases the upper ocean heat content, effectively by enhancing downwelling processes and reducing southward heat transport, which strongly endorses our hypothesis that changing ocean dynamics associated with low-level monsoon circulation is causing the increasing trend in the heat content of the Arabian Sea. Acknowledgements are due to ECMWF and INCOIS for datasets and GFDL, Princeton for MOM5. We also thank Dr. Kala Raj and Deepti Gnanaseelan for careful proofreading. Pratik Kad benefitted by training conducted by Mr. AbhaySingh Rajput for Science communication. PyFerret is used for preparing manuscript figures. The authors are thankful to editor and reviewers for providing important suggestions. We wish to acknowledge the support from ESSO-IITM and MoES.